How Costa Rica's president, Jose Figueres, took the audacious step of dissolving the Armed Forces after a brief civil war in 1948. 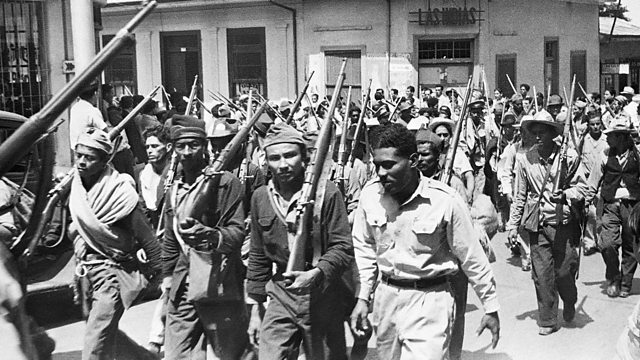 After a brief civil war in March-April 1948, the new president of Costa Rica, Jose Figueres, took the audacious step of dissolving the Armed Forces. Since then Costa Rica has been the only Latin American nation without a standing army. Mike Lanchin has been hearing from 94-year-old Enrique Obregon, who served in the military before its dissolution.